2 lines x 16 characters large LCD. Insulation resistance auto-ranging on all ranges. 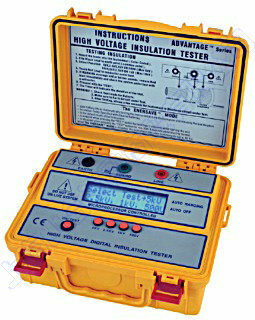 Bar-graph indicates test voltage-rise and decay can be observed during tests. 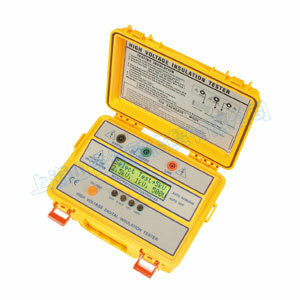 Warning and display of external voltage presence.